Social media platforms have transformed the way businesses interact with their customers. With the amount of people using laptops, smartphones, and tablets, social media has become the primary mechanism to reach your customers and it isn’t going to end anytime soon. 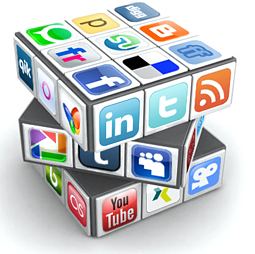 Implementing social media for businesses has become a vital component of nearly every business marketing strategy. For organizations both small and large, platforms such as Facebook, Twitter, Instagram, LinkedIn and Pinterest enable an unlimited communication and relationship building with prospects anywhere in the world. If you have a business, it is no longer an option to say, "I don't want to participate" because control has shifted to your audience. If they are participating and talking about your business, your business needs to engage in that "conversation." Why Should a Business Have a Strong Social Media Presence? Participation could lower the cost to acquire a new customer. Those companies that master this principle will be the leaders of tomorrow's business world. Active participation creates a conversation with your audience. If you perpetually share value in this "conversation," you will ultimately create a relationship. A relationship leads to trust being created. Who do we tend to do business with? Those we trust! Functional reasons like it is a new channel for customer service. In today’s digital world when customers have inquiries they expect companies to offer prompt responses through social media. Visibility and awareness to your business. 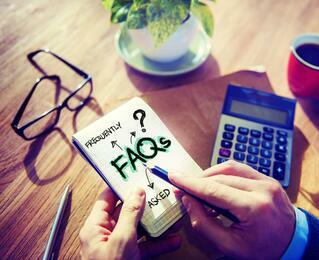 What Are Some Benefits for a Business Participating in Social Media? Being an active participant in various social media platforms is crucial for brand exposure, generating traffic, building a loyal fan base, and increasing leads. The biggest benefit here is that it is typically cheaper, more easily tracked and potentially more effective than many other traditional marketing efforts. How Much Time and Effort Should Be Spent On Social Media? There is no right or wrong amount of time and effort to be spent on social media, unless the answer is none. Time should be allotted to schedule posts, retweet industry news, connect with influencers, and respond to inquiries from potential customers. While it can be a time consuming process, marketers have shared that the more time invested, the more benefit they saw from social media. Can The Same Strategy Be Applied To All Social Media Channels? Twitter is a powerful amplification tool that enables businesses to connect with potential customers. Posting frequency will differ between these platforms and many CRM’s provide best practice parameters for scheduling your posts. When it comes to picking a platform for social media for business, many businesses select Facebook. Facebook boasts well over a billion users to market to, while providing businesses with various advertising options that include audience targeting. Twitter is recommended as a way to connect with peers within the same industry, prospects, and current customers. Pinterest touts an industry leading percentage of female users; a fact that can be leveraged for brands who, for example, are looking to sell cosmetics and fashion accessories. LinkedIn is a business oriented social network that enables the building of a professional network. However, none of these offers a "one-size fits all" type of concept. The key determining feature that should determine whether a business uses one social media platform or another is their ability to reach their target audience on that platform. Small business owners may struggle to see the value in utilizing social media for business marketing, but the results are undeniable. Today’s consumers are looking for instant information at their fingertips and social media is often the most effective place to source that information.